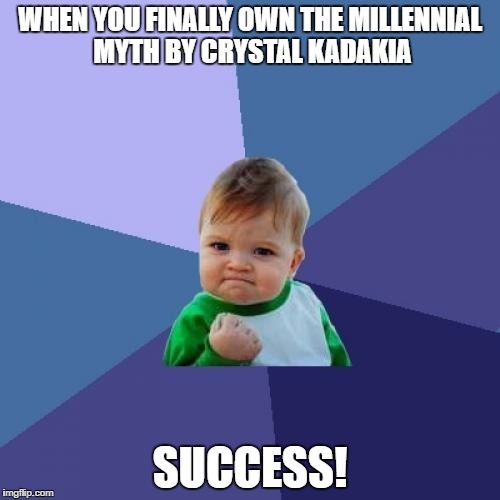 Crystal Kadakia and The Millennial Myth – In The Millennial Myth, Two-Time TEDx Speaker Crystal Kadakia teaches you how to transform the five most common generational misunderstandings into workplace breakthroughs. The indispensable guide to meaningful modern workplace changes based on dispelling the top five Millennial myths: Laziness, Entitlement, Needing to be Handheld, Authority Issues, and Disloyalty. Available on Amazon, Barnes and Noble, IndieBound, and Books a Million. For more memes, click here. STOP COMPLAINING AND START MODERNIZING! Tired of hearing and talking about Millennials because you don't know what to really do about it? Two-time TEDx speaker and Millennial, Crystal Kadakia, has created an indispensable guide to resetting your generational lens and reshaping modern organizational strategy. Known for her balanced perspective, pragmatic solutions, and 'tell it like it is' approach, Crystal surfaces the invisible connection between Millennial behavior and modern workplace changes. She illuminates how the advent of digital technology is THE crucial root cause of many Millennial behaviors -- and the clues for what our traditional workplace needs to do to catch up to today's digitally-enabled world. 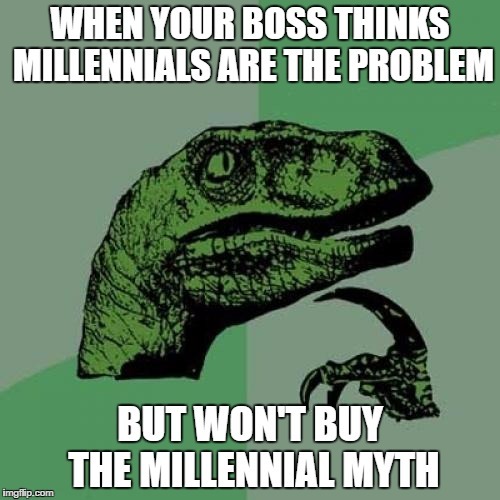 Order your copy of The Millennial Myth today to learn about the 5 most commonly misunderstood Millennial behaviors and the workplace breakthroughs you can make instead!